AAE1 is a 25,000km consortium cable system connecting South East Asia to Europe via Egypt. It is owned by 19 communications companies. 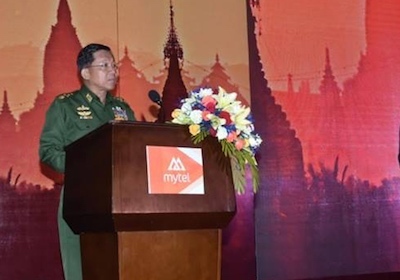 Mytel, a mobile network in Burma part owned by the military via the military owned and controlled Myanmar economic Corporation, uses the AAE1 cables for internet bandwidth.